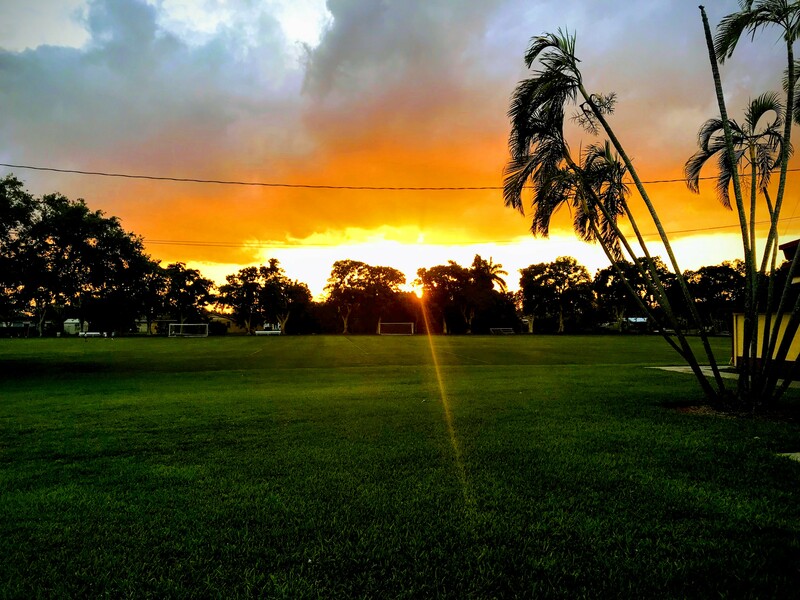 Cutler Ridge Soccer Club was founded in 1966 and is a not-for-profit, volunteer-based youth soccer program located in Miami-Dade County in the town of Cutler Bay. Our volunteers are the heart of our club. Along with their families, they are what makes Cutler Ridge Soccer Club such a great place to be! Since its inception in 1966, Cutler Ridge Soccer’s mission and purpose has been the development of young athletes who have demonstrated the ability to play soccer. Our program focuses on improving their skills, teaching good sportsmanship, building self-esteem, and helping the young players develop leadership qualities. CRS has always taken great pride in providing an opportunity to every child interested in playing, regardless of background, demographics or financial circumstances. Today, our club consists of approximately 450 athletes ranging from ages 4-19 years of age. Many of our young athletes successfully compete in several high profile tournaments such as; Region Cup, Presidents Cup, State Cup, Weston President’s day Tournament, Fiesta Cup, Space Coast Memorial Day Tournament, Disney Showcase and numerous others, some of which include several College Showcase tournaments allowing our older players the exposure to college talent scouts. In our 50-year history, we have had some of our more competitive players recognized and named to U.S. national and U.S. regional teams while numerous other players have been awarded athletic scholarships and a handful have excelled at the professional level. Cutler Ridge Soccer’s development (4-6 yrs) and transition (7-14 yrs. ) programs enjoy three seasons of play. Parents have the choice of enrolling their child in one season or all. Typically they opt for all and therefore, our enrollment is always at its capacity. Our more developed athletes participate in our competitive teams and enjoy one season as they participate in regional events along the eastern seaboard. Our competitive teams have been featured in local newspapers for their efforts and are very well known throughout the region. 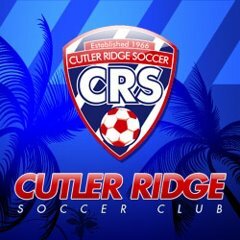 As one of the oldest soccer programs in all of Florida, Cutler Ridge is recognized and respected for its years serving the community and producing many talented soccer athletes. Cutler Ridge Soccer Club exists with the intent and purpose of developing soccer players, through quality co-educational programs. Our goal is to help our members reach their potential within the game. We are committed to providing participants in our program with a positive, supportive, and safe environment in which to develop their skills. We want to grow the great game of soccer and at the same time raise the standard of play at the youth level. Cutler Ridge Soccer Club exists to serve the needs of the players, and always strives to put their growth and development first and foremost. The best interest of each individual player is paramount to the club. Within a positive yet challenging environment, players will be instructed in the technical, tactical, physical and mental components of the game. The club also promotes sportsmanship, integrity, leadership, self-discipline, and character development. It is hoped that all players will learn life lessons through soccer while playing at Cutler Ridge Soccer Club.